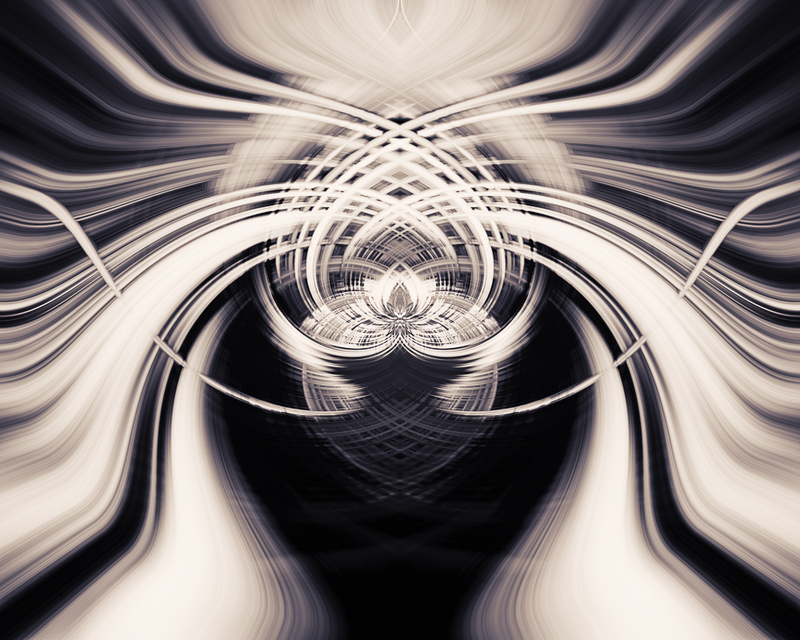 So my Arcanum Sphere 2 cohort has become obsessed with (or possessed by) this fun twirl technique in Photoshop. I finally got around to joining in the fun today. 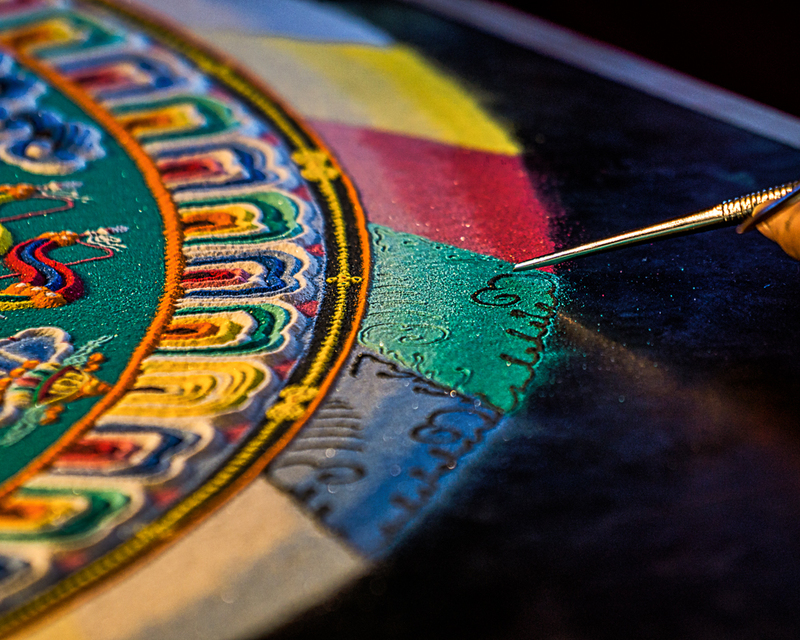 I wanted to pick something both colorful and spiritual, so I chose this photo from the Tibetan sand mandala process I witnessed in the spring. I followed the examples from Alicia D’Amico’s twirling tutorial (see the end of the post for the video). After doing the basic work of the tutorial, I played with some lighting, saturation, and contrast issues in Viveza by NiK Software and then made some color adjustments in Lightroom. The resulting pattern reminds me of both a lotus flower and the acorn. Additionally, the sweeping lines of color from the corners reminded me of the process of mandala destruction as the monks brush the sand towards the center of the image. After playing with the saturation slider, I also wanted to try a monochrome image. I decided to do a split-tone version of the same image in MacPhun’s Tonality Pro. This gave me a totally different feeling, with more appreciation for the lines, structure, and appearance of light and shadow in the image. Here is the instructional video! Twirl Photoshop Tutorial by Pure Emotions Photography from Alicia D’Amico on Vimeo. This entry was posted in Photo Assignments and tagged Lightroom, MacPhun, Mandala, Photoshop, Sand Painting, TibetWeek, Tonality Pro, Twirl. Bookmark the permalink. ← Flashback Friday: Seven Days to DragonCon!! !